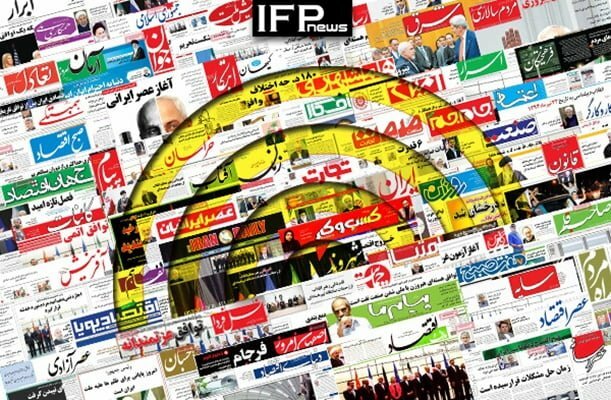 IFP has taken a look at the front pages of Iranian newspapers on Thursday and picked headlines from 15 them. IFP has simply translated the headlines and does not vouch for their accuracy. Newspapers today covered the remarks made by Iranian Foreign Minister Mohammad Javad Zarif on the sidelines of ongoing World Economic Forum summit in Davos, Switzerland. Zarif talked about a variety of issues, including the consequences of US President-elect Donald Trump’s possible move to scrap the nuclear deal with Tehran, as well as the open doors of Iran’s economy for US businessmen. President Hassan Rouhani’s move to test-drive an electric car on the National Day of Clean Air also received great coverage. 1- Zarif in Davos Talks about Open Doors of Iran’s Economy for US: Ties with US?